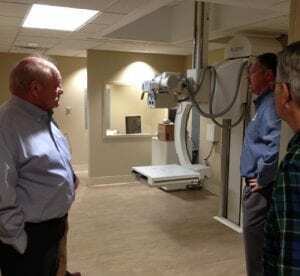 BLAIRSVILLE, Ga. – During the Board of Directors meeting Tuesday, Feb. 27, administrators of Union General Hospital got a first-hand look at some the hospital’s newest expansions and renovations on the campus. Lewis Kelley, chief executive officer of Union General, took officials on a guided tour of the hospital’s forthcoming orthopedic wing to be shared by Dr. Ronald A. Macbeth Jr. and Dr. Douglas Nuelle. The wing features three exams for each doctor as well as one fracture room and one x-ray room to be shared by both physicians. It is large enough to support three total providers and contains a spacious waiting room for patients. Chief Executive Officer Lewis Kelley, left, and other hospital administrators get a preview of the x-ray room at Union General Hospital’s new orthopedic wing. According to Kelley during the tour, the wing is a renovation of one of the oldest areas of Union General and is expected to open the second week of March. Next, hospitals hopped in vehicles and took a short ride down Deep South Farm Road from the main facility to to get a look at a new two-story medical office facility that will be leased to family practice physician, Dr. Thomas Gary, and Northeast Georgia Cardiology. Gary’s family practice will occupy the top, street-level floor of the new facility while the bottom floor will serve as the new home of Northeast Georgia Cardiology. Gary’s space will consist of 20 exam rooms and will host seven total healthcare providers, according to Kelley. The Northeast Georgia facility will feature state-of-the-art open work space amenities complete with 18 exam rooms, a treadmill room and nuclear stress test room. Back at the board meeting room within Union General, Chief Nursing Officer (CNO) Julia Barnett gave a brief medical staff update for Chatuge Regional Hospital in Hiawassee. Barnett reported the medical staff is working to improve customer service throughout the facility in an effort to improve Hospital Consumer Assessment of Healthcare Providers and Systems (HCAHPS) scores for the facility. As a result, all bedside nurses are now performing callbacks for all inpatients, Barnett stated. 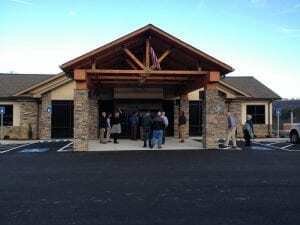 Officials and administrators from Union General Hospital preview a new medical office building located on Deep South Farm Road just down from the main hospital facility in Blairsville. “We already do those here at Union. I’m pleased to hear (Chatuge) is doing that, so on all their inpatients, observation patients, swingbed patients – so anybody on the inpatient side, they’re having the bedside nurses call for follow-up phone calls … and they have plans to start ER (emergency room) callbacks soon in the future,” Barnett said. Ryan Snow, assistant administrator, presented an update on the forthcoming Chatuge Behavioral Health facility, set to open March 5 in Hiawassee. “We’re very excited about that,” Snow said. Snow also stated Georgia Commissioner of the Department of Behavioral Health and Developmental Disabilities (DBHDD) Frank Berry recently toured the facility and was pleased the progress at Chatuge. “It was nice to be able to show him some of things that we were looking at (in) expanding our footprint in mental health in Hiawassee,” Snow stated. Bringing the focus of the meeting to Union General, CNO Barnett reported to the board UGH received a five-star rating according to the Centers for Medicare & Medicaid Services (CMS) Hospital Compare website report in December 2017. Barnett went on to say UGH is one of only six hospitals in Georgia to receive such a rating and no other medical facility in the region holds the same distinction. According to Barnett, UGH will hold the five-star rating at least until June 2018 when the newest ratings from CMS are released. CMS rates over 4,000 hospitals nationwide on its Hospital Compare website and bases its ratings on 57 quality measures within seven areas of focus: mortality, safety of care, readmission, patient experience, effectiveness of care, timeliness of care and the efficient use of medical imaging. Only 337 hospitals across the nation received a five out of five star rating in CMS’ December release. Barnett also announced UGH was ranked number 43 in the top 100 SafeCare Hopsitals in the nation, which falls in the top 1 percent nationwide in hospital safety. 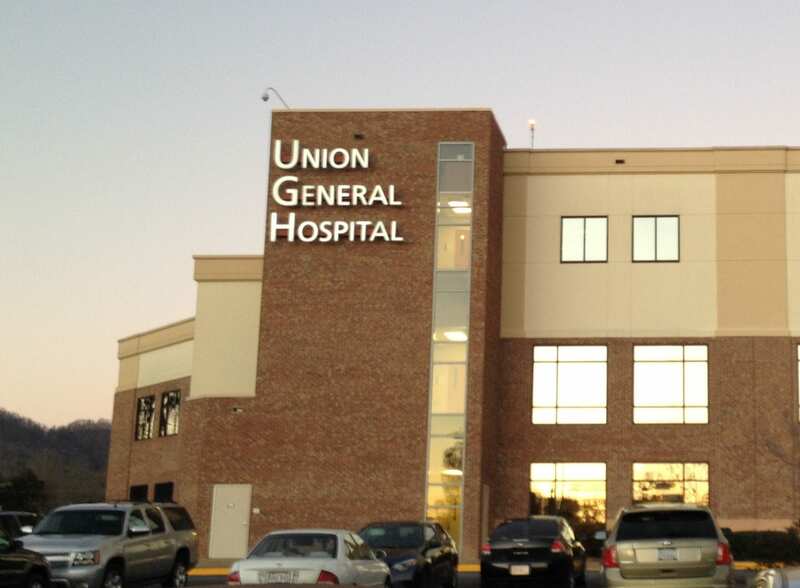 According to Barnettt’s report, UGH was the only hospital in Georgia ranked in the top 100 in this category. Chief Operating Officer (COO) Michael Gay gave a construction update and stated the hospital would relocating its endoscopy staff to a temporary area within the next two weeks to allow renovation of the hospital’s endoscopy wing. Gay said the construction would likely take 12 to 14 weeks to complete. Gay also mentioned the new parking employee lot directly across Deep South Farm Road is nearing completion. “We’re working very closely with the county now to go ahead put in the lights for the crosswalk … but we actually do not want to start utilizing that area until we get those lights up and going. The county said that we’re probably about three or four weeks away from being able to have that completed,” Gay explained. 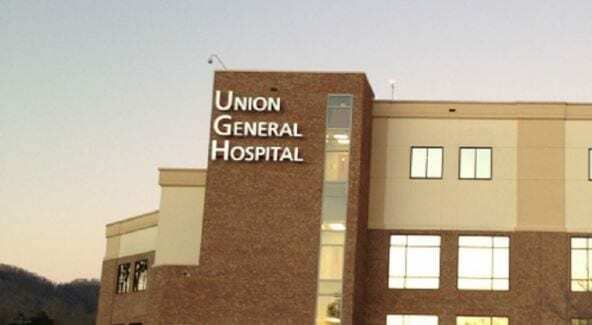 BLAIRSVILLE, Ga. – Chief Executive Officer of Union General Hospital Lewis Kelley recommended to the hospital’s Board of Directors at their monthly meeting Tuesday, Nov. 28, to proceed with plans to expand parking at its Blairsville facility. Kelley explained the hospital owns a forested strip of a land adjacent to Union General that, if cleared, would allow for approximately 50 more parking spaces. The lot, located just across Deep South Farm Road, would be used for employee parking and would make available more spaces in its main lot for patients and visitors to the hospital. Kelley stated about 50 trees would need to be cut and cleared, and the bid cost for site development is approximately $49,600. The CEO further explained paving for the lot would not be able to completed until spring; however, prior to the paving, the lot could be graveled to allow for sooner use. Kelley also stated the hospital would speak with Union County Sole Commissioner Lamar Paris about the possibility of adding a crosswalk with a caution light to provide employees safe crossing from the lot. Though the amount for the project is under Kelley’s $50,000 spending limit, the CEO asked the board to approve the expenditure, which was approved unanimously. Kelley also brought to the board’s attention the need to replace a piece of ear nose and throat (ENT) equipment for the operating room that failed two weeks prior to the meeting. According to Kelley, hospital officials are evaluating the situation and taking bids to replace the equipment. 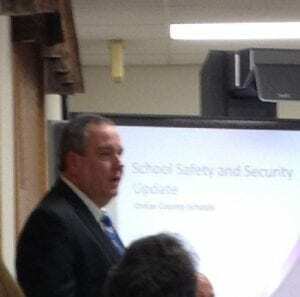 The equipment, Kelley stated, would cost between $190,000 to $225,000. Currently, the hospital is using a piece of equipment on loan from a private company until a permanent replacement can be attained, according to Kelley. Also during the meeting, Julia Barnett, chief nursing officer for Union General, announced the Centers for Medicare and Medicaid Services (CMS) gave the hospital a five-star rating for the quarter in its latest quality measures rating. “I just want you all to understand how hard that all of our folks have worked to get to a five-star rating,” Barnett said. 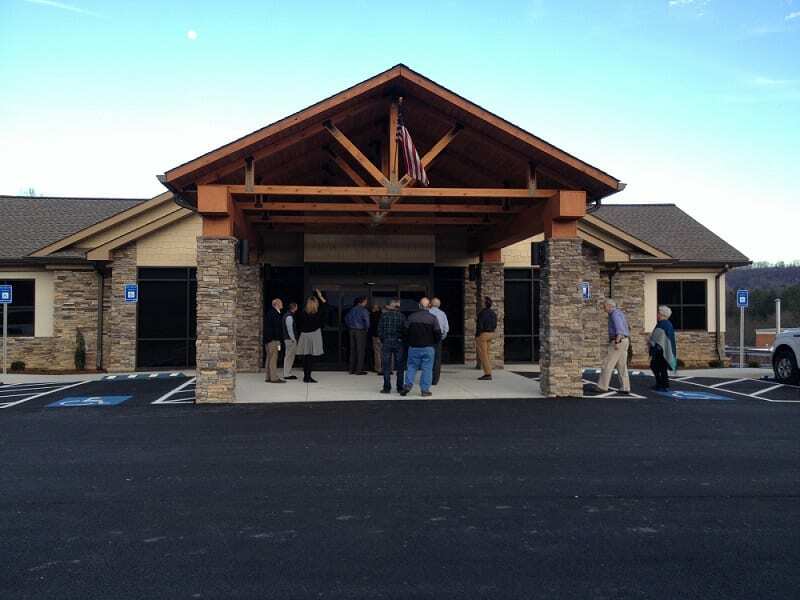 In addition, Chatuge Regional Hospital in Hiawassee received a four-star rating from CMS. The board also approved the hospital’s updated Organizational Plan for Patient Care Services, which, according to Barnett, is a CMS required document that outlines and explains all of Union General’s patient services and is updated annually. 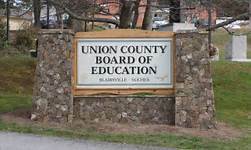 Chief Financial Officer Nick Townsend delivered the monthly financial statement and reported Union General has netted $2.5 million this fiscal year to date in comparison to $3.6 million this time last fiscal year. Rising healthcare and health insurance costs across the industry, Townsend stated, are contributing factors to the decrease. Michael Gay, chief operating officer, presented a construction update for the hospital’s orthopedic wing expansion stating the demolition phase has been completed and walls have been constructed in the wing. Gay estimated a completion date of February 2018 for the construction.